First introduced in the 1980’s but not perfected until the last decade, variable data printing (VDP) is one of the best ways to improve the marketing strategy for any business. VDP involves graphic or text elements to be swapped out quickly and easily during the printing process which makes for more customized mailings. Not sure how VDP can impact your marketing strategy? Here are a few benefits to consider. Personalization. An estimated 86% of consumers said that mail personally addressed to them is more likely to get their attention and impact their purchasing decisions. 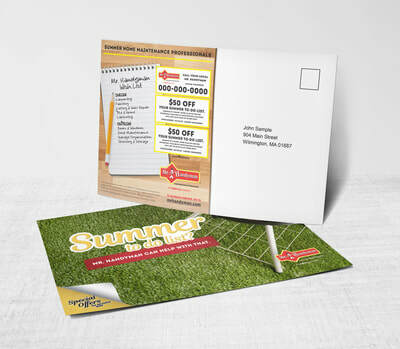 Kirkwood Direct’s VDP capabilities include personalizing thousands of direct mail pieces for both B2B and B2C markets. Market Testing. Running multiple direct mail advertising campaigns, such as A/B testing, is a cost effective and insightful way to understand the effectiveness of your marketing. Kirkwood Direct’s market testing capabilities will help you understand what print tactics (i.e. color choices, photo choices, catch phrases, ask amounts etc.) are most effective in driving conversions. Quick Turnaround. From the design phase to mailing, VDP offers businesses a quick turnaround time all thanks to never needing to order, print, and ship marketing material one piece at a time. Instead, our digital printers create thousands of highly personalized and uniquely tageted labeled parcels mailings within a short window. Increased Response Rate. Personalized mail pieces have a significantly higher response rate and conversion rate than non-personalized mail pieces. With nearly a third of all decision makers wishing their purchasing and shopping experience was more customized and personalized, VDP is able to deliver these needs. Ease of Data Analysis. Kirkwood Direct’s extensive consumer lists include demographics for nearly 185 million individuals. Data analysis and customer tracking after launching a direct marketing campaign can include QR codes, personalized URLs, call-tracking numbers and unique offer codes. In order to analyze the data, you need to have data to work with, which is where Kirkwood Direct comes in by providing customers with specialty lists, consumer lists, and business lists. Variable digital printing is perfect for those in the education, finance, insurance, telecommunications, pharmaceutical, retail and nearly every service industry that needs to reach a specific audience. Kirkwood Direct’s VDP services can also be combined with a variety of other digital and traditional marketing tactics. Contact us to request a quote or to learn more about our capabilities.